Do you know your Lambda from your EGTS? Here’s a factor’s guide to what those small box parts actually do. 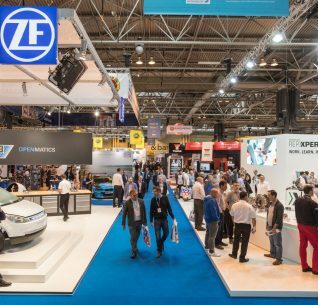 With the existing laws set by the Euro 6 legislation, the pressure for vehicle manufacturers to invest more resources into developing better vehicles that complied with the legislative guidelines are continuously scrutinised. Emission pollutants such as nitrogen oxide (NOx), carbon monoxide (CO), total and non- methane hydrocarbons, as well as various particulate matters were expected to be reduced with the use of modern automotive technology. Effective reduction of pollutants goes beyond ensuring that emissions control systems such as CATs and DPFs are up to scratch. 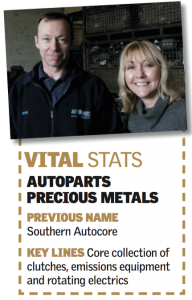 Vehicle electronics and engine management systems are integral in optimising a vehicle’s efficiency and in turn, lowering its carbon footprint. With a wide array of products that support the lowering of harmful emissions, we thought it would be worth sharing some points about the significance of the various sensors that you deliver to garages everyday. By the simplest definition, lambda sensors monitor the air- to-fuel ratio within the exhaust and relays the information to the ECU. Lambda sensors are vital to ensuring a vehicle’s optimal performance and aid to reduce harmful carbon emissions. The perfect air-to-fuel ratio for optimum engine efficiency is known as the stoichiometric ratio. The stoichiometric ratio for a petrol engine is 14.7:1 in which 14.7 grams of air is needed for every 1 gram of fuel. This ratio allows for optimum fuel efficiency, wasting less fuel and in turn, producing the least amount of emissions. 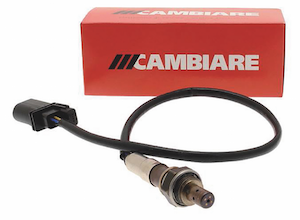 Traditionally, lambda sensors produce a voltage signal based on the volume of air detected in the exhaust. If the mixture is too rich (too much fuel supplied), the sensor produces a voltage of around 0.9 volts. When the mixture is too lean (insufficient fuel supplied), it produces around 0.1 volts. A perfect stoichiometric ratio produces 0.45 volts. To compensate for imperfect mixture ratios, the ECU adjusts the fuel mixture by adding more fuel when the mixture is lean, or using less fuel when it is too rich. 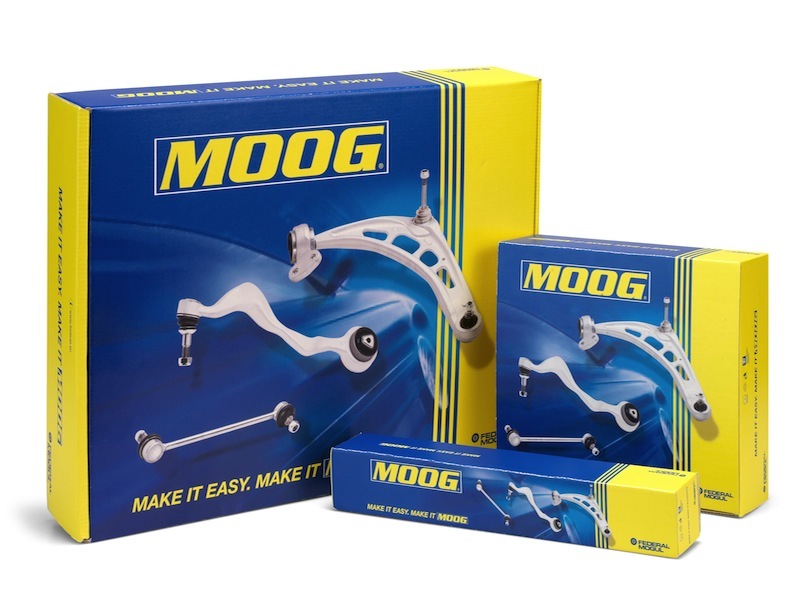 Whilst traditional lambda sensors do the job of regulating the stoichiometric ratio, it was unable to provide the ECU with an accurate reading of how rich or lean the air-to-fuel ratio was. Lambda sensor technology needed to keep up with the demand of the tighter euro emission standards. 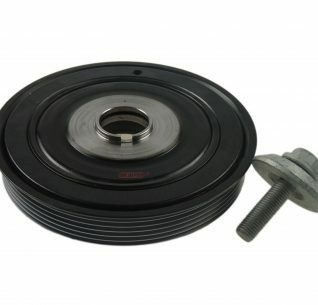 With the introduction of the 5-wire lambda sensor, the ECU is not only supplied with a signal that relays if the air-to-fuel ratio is running too rich or too lean, it also conveys by how much. 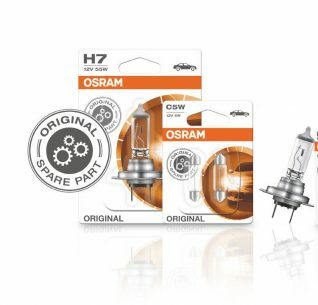 This precise information is swiftly sent to the ECU to allow the vehicle to rectify the air-to-fuel ratio more efficiently and effectively and increate the overall performance of the vehicle. 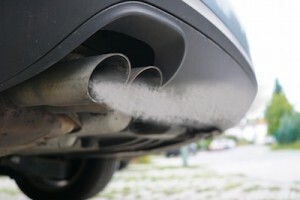 in order to remove from the exhaust system and release it in the surrounding air, safely. 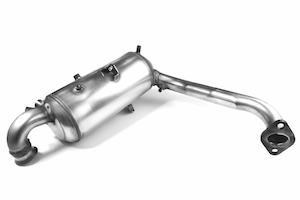 Typically, exhausts run at temperatures in excess of 900C in order to successfully regenerate the DPF. At these extreme temperatures, thermal overload becomes a huge risk. The EGTS monitors the heat produced from the exhaust, supplying the ECU with a signal to ensure that the temperatures reached do not fall outside a vehicle’s safety parameters. 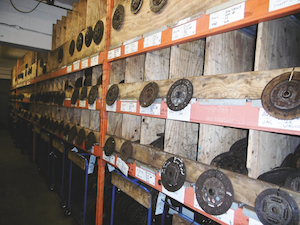 Due to the extreme conditions that EGTS operates in, they are prone to damage during exhaust component replacements. Therefore, they need to be replaced simultaneously with a DPF and/or exhaust, as opposed to waiting for the dashboard warning light to illuminate. 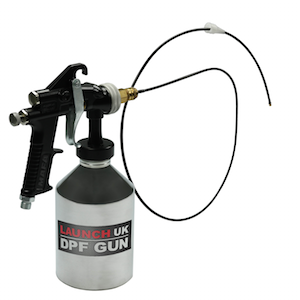 Timely replacement of an EGTS prevents damage to the DPF and subsequent engine damage. Our firm’s EGTS use two types of technology – positive temperature coefficient and negative temperature coefficient. PTC increases the resistance with the increase in temperature. NTC, works in an opposite fashion with the sensor producing Temp sensor less resistance as the temperature of the exhaust increases. EGPS are differential sensors that measure the pressure of gas between the intake and outtake the diesel particulate filter (DPF). By measuring the pressure, the EGPS communicates a voltage signal to the ECU. This enables the system to detect the level of soot and particles collected within the DPF. 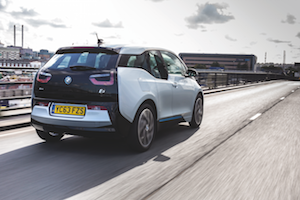 This information enables the ECU to monitor and detect when regeneration is required for efficient emissions reduction. As a result, a malfunctioning sensor can cause a variety of problems which impacts the increase of oil consumption and emissions. 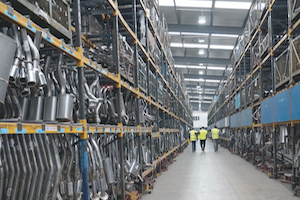 If the sensor is faulty, DPF regeneration can increase unnecessarily leading to the shortening of the DPF lifespan. 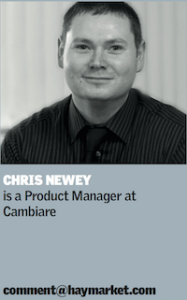 Cambiare covers a range of applications within its portfolio of lambda sensors and EGTS. Stocking more than 100 EGTS and 500 lambda sensors, they are available from FPS via same/next-day delivery. 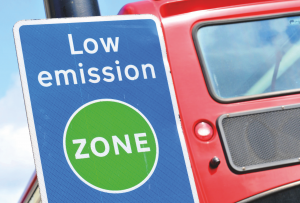 London’s Ultra Low Emission Zone will start in 2019 is troubling news for small businesses and specialist hauliers serving London, says the Freight Transport Association (FTA). It is now planned that the Zone will extend in 2020 to Greater London for HGVs and to Inner London for vans in 2021. Ms Chapman commented, “It is encouraging that this is not happening in 2019 as had been suggested: this shows the Mayor has listened to some of the concerns that had been raised. But the expansions of the Zone will still increase the burden on business exponentially. We are calling for businesses based in the affected area to have access to a sunset clause, such as has been offered to private residents, allowing them greater time to comply with the change required without the need for unnecessary and potentially crippling additional charges for new vehicles. “Previously, the Mayor has called on the Government to fund a scrappage scheme aimed at owners of older diesel cars and vans: we fully support him in that call and believe it is the place of national Government to help prevent the cost burden to implement these measures falling on local authorities, businesses and residents. If such a scrappage scheme were created, it would give the Mayor the necessary room to introduce more flexibility to the London ULEZ, helping operators to avoid some of this unwieldy and unexpected burden on small businesses. “At a time when London’s businesses face an increasingly challenging trading environment, the Mayor should be taking every possible step to help the capital’s small businesses, and we will urge through this consultation for more consideration to be given to those affected by the introduction of these new measures” concluded Chapman. 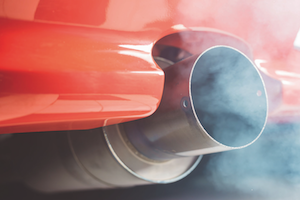 Advert watchdog, the ASA has banned a web page offering DPF removal services. The webpage, on the website of Somerset-based Avon Tuning, offered DPF removal services, Under the heading “Will removing the DPF result in an MOT failure?” text stated “… the only MOT regulation regarding the DPF is a simple visual inspection, as long as the DPF still appears to be fitted – the vehicle will pass the MOT visual inspection. 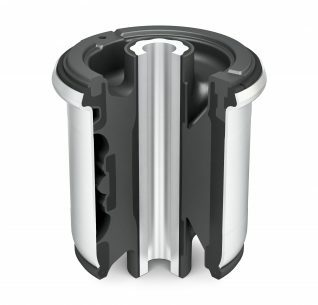 Therefore we only remove the internal core, leaving the outer casing in place. The vehicle will appear to have a DPF fitted and will appear unmodified”. A complaint was lodged to the regulator by Friends of the Earth as the organisation understood it to be illegal to drive on a public road with the DPF removed, challenged whether the advert was illegal by ommiting this information. In response, Avon Tuning said that the ad made clear through the qualification “*Our DPF Removal service is sold for off-road use only” that the service wasn’t for road-going vehicles. The company did not believe that this could mislead consumers into thinking that it was legal to drive without a DPF on a public road. However, the ASA did not agree. “We considered that it was material information that the advertised procedure would make a vehicle illegal to use on public roads and therefore the ad needed to make that information immediately clear to consumers” read a statement from the watchdog. “As such, because that information was omitted from the ad and it instead suggested that vehicles which had their DPF removed could be used on public roads, we concluded that the ad was misleading. The ASA banned the ad in the original form. After the ruling went live, the tuning company added a longer disclaimer stating that the service would likely render the vehicle illegal on a public road and removed details about the MOT visual inspection. However, all the details of the deletion service offered remain on the page.